Black is back, and he brought a killer friend back from outer space (no, not that one). 20th Century Fox released the teaser trailer for The Predator on Thursday. This will be the sixth cinematic appearance from the dreadlocked monster after first trying to kill Arnold Schwarzenegger in the jungle over 30 years ago in John McTiernan’s 80s action classic Predator. This time around it’s commanded by Shane Black (Iron Man 3, The Nice Guys, Kiss Kiss, Bang Bang), who directed and co-wrote the movie with Fred Dekker (The Monster Squad, RoboCop 3). The film also comes with a stacked cast including Boyd Holbrook (Logan), Trevante Rhodes (Moonlight), Sterling K. Brown (This Is Us), Keegan-Michael Key (Key and Peele), Jacob Tremblay (Room) and Olivia Munn (X-Men: Apocalypse). Like all great sci-fi/action movies, everything starts with stupid children. When young Rory (Tremblay) comes across a random box in a basement, he finds some cool but odd-looking technology. Conveniently enough, his tinkering with these toys sends out a signal for the Predators to come to Earth. Now a group of ex-soldiers and a disgruntled science teacher must ban together and take on the galaxy’s most lethal hunters before human DNA becomes just another trophy in the killers’ collection. Predator last graced movie screens in 2010’s Predators, starring Adrien Brody and Topher Grace, that was financially successful but received mixed reviews. Predator has also had a moderate reappearance in the pop culture of the new millennium thanks to the Alien vs. Predator films in 2004 and 2007. 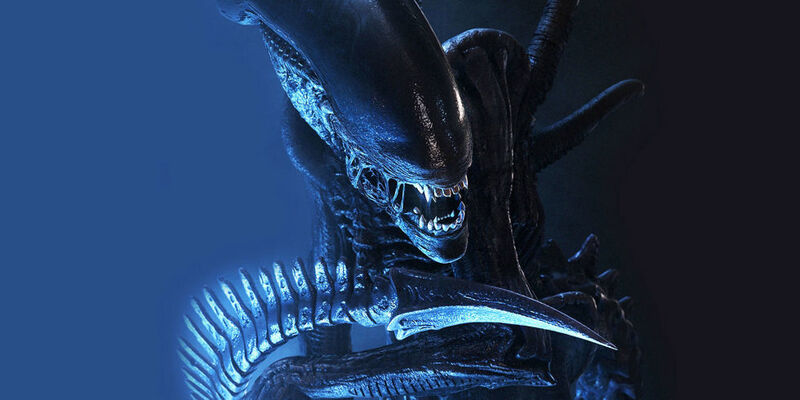 It’s easy to assume that Fox is trying to restart another beloved franchise, especially after Ridley Scott’s two Alien prequels, 2012’s Prometheus and last year’s Alien: Covenant, have seemingly left the xenomorph somewhat rudderless. With The Predator under the direction of Black, a veteran of action movies and master of witty dialogue, Fox seems to want to bring Predator back to its roots of chest-bumping machismo getting chopped down by scary alien monsters. It’s also a bit of a full-circle moment for Black, as he was actually a supporting character in the original movie. The Predator lands in theaters September 14. What do you think of the trailer? Comment below and be sure to share this article on social media. Stay with The Young Folks for the latest movie news and trailers. Next ArticleAlbum Review: Rae Sremmurd - "SR3MM"